2014 Donor Profiles - IEEE Foundation, Inc. The IEEE Foundation programs that really interest John are Engineering Projects in Community Service (EPICS in IEEE), the IEEE History Center, and the projects of the Life Member Committee. "Programs like EPICS in IEEE, where engineering is used to address community issues, are a good intersection of my interests and desire to give back to the community. EPICS in IEEE not only assists in the support of developing community based solutions, it also facilitates a sense of lifelong civic engagement for participants; both are very worthy outcomes." John added, "I have always had an interest in history, so I'm glad to see the Foundation supporting the preserving of the history of technology and engineering." John feels that it is important to support the IEEE Foundation because, he said, "My parents instilled into me, by their example, the need for those with the means to support a variety of charitable programs. It seems logical to use a portion of my giving to support programs related to my work fields." He added, "Supporting charitable activities and supporting those in need in your communities or elsewhere can be a very rewarding activity." John mentioned, "There are many worthy causes to give to and as a contributing IEEE member, knowing that the IEEE Foundation is enabling these kinds of programs is an additional reward." Eleanor Baum became a member of IEEE during her undergraduate days at The City College of New York, NY, USA. Eleanor went on to be Dean of Engineering at Pratt Institute, Brooklyn, NY, USA, an appointment that made her the first woman to head an engineering school in the USA. In 1987, she became Dean of Engineering at Cooper Union, New York City, NY, USA. Eleanor is a proponent of professional societies for students. She says, "I have always encouraged students to join professional societies because of professional development opportunities available to them through IEEE throughout their careers." "The reason to become an engineer is to work on solutions to problems which improve conditions of society -- to make life better for people," Eleanor says. "These ideas are exactly what groups in IEEE are concerned with." Eleanor gives because she believes, "The IEEE Foundation funds projects and programs which help society, improve education, and help the general public better understand technology and its impact on our lives. The work of the IEEE History Center is an important part of the technological literacy efforts, as are many programs of the IEEE Educational Activities Board, the IEEE Life Members Committee, and other IEEE organizational units towards this goal." "The IEEE Foundation needs the support of IEEE members to continue its important work. I have been happy to invest in its work and see the impact of my contributions." Eleanor is an active member of the IEEE Foundation Board of Directors. Dr. Murty P. Bhavaraju joined IEEE as a student. His mentors at PSE&G encouraged him to participate in the IEEE Power & Energy Society by joining committees, participating in conferences, and submitting technical papers. IEEE activity became a second job. Murty is an active volunteer and donor. He is an Honored Philanthropist as a member of the IEEE Heritage Circle. There are two funds in particular that interest him. He donates to the PES Award Endowment Fund which recognizes outstanding work in electric power engineering. He also donates to the IEEE Power & Energy Scholarship Fund of which he said, "I wanted to be one of the first donors to this fund to motivate my peers to join the effort." Murty added, "the statistics on potential retirement of power engineers and the need for new engineers are alarming; we need to attract students to our profession. IEEE PES Scholarship Plus is a promising way to achieve this initiative." "Supporting IEEE Foundation, and leveraging a company matching gift, is an effective way to give back to IEEE and the society for the benefits we as IEEE members derive from the participation in IEEE technical and educational activities," Murty says. "I believe my IEEE membership and activities benefited me immensely in my career and in various recognition I received." Murty left us with an inspiring message. "While position, papers, or patents are important, legacies are measured by what you leave with others through mentoring and by inspiration." 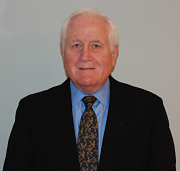 Robert (Bob) A. Dent joined the Student Branch of IEEE in 1965 while he was a senior at Stevens Institute of Technology in Hoboken, NJ, USA, the new home of the IEEE History Center. He is particularly interested in the IEEE History Center, a center to preserve, research, and promote the history of information and electrical technologies. Bob says, "IEEE provided an opportunity to read and hear technical information, to develop professionally, and to network with my peers in the profession and the industry in which I had chosen to work." After 32 years of volunteering for IEEE, he joined the staff of IEEE as the Executive Director of the Power Engineering Society, now known as the Power & Energy Society (PES). Now he serves as Chair of the PES History Committee. "I donate online to the IEEE Foundation because it is easy and secure," he said. Bob donates to the IEEE History Center, primarily, and he also donates to the Foundation Fund so the money goes where it is most needed. He says, "I trust the IEEE Foundation to allocate my contribution to the programs that are appropriate and most in need. I known many of the volunteers and staff of the IEEE Foundation and trust they will use the funds that I contribute to be spent effectively and responsibly." Bob believes in supporting programs of the IEEE Foundation because, he says, "I want to pay forward to programs that benefit present and future electrical engineers and society, in general." With a degree in Engineering Physics, Barney Finn found his first professional job rewarding but somehow lacking a sense of fulfillment. This led him to obtain a Ph.D. in History of Science, which he still feels would have made him a satisfied engineer; instead, he became curator of the Smithsonian Institution's historical electrical collections. 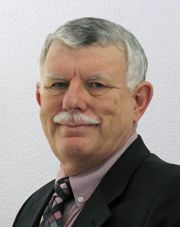 His position brought him in contact with the nascent IEEE History Committee. The consequence of his acquaintance was a career-long association, highlighted by the establishment of the History Center in 1980. "The enthusiasm of the committee members, and ultimately the creation of the center, provided reassurance that history should be considered an important element in an engineer's long-term education," Barney said. "I feel strongly that engineers should have exposure to the humanities, especially history." 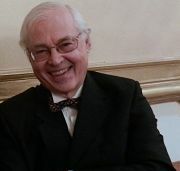 The Bernard S. Finn IEEE History Prize, funded in part by the IEEE Life Members Fund and administered by the Society for the History of Technology, was recently renamed from the IEEE Life Members Prize in Electrical History. Barney says, "Nothing could have made me feel better about my commitment to these two groups than this great honor." The prize is awarded annually to the author of the best published paper in the history of electrotechnology - power, electronics, telecommunications, and computer science. "The IEEE Foundation is a significant support of the History Center's programs," said Barney. "For this reason my modest financial contributions have given me great satisfaction." Bob Franzino worked at AT&T for 20 years before joined IEEE as a professional staff member in 2006. He says, "As a Tax Manager in the IEEE Tax Department, I'm extremely proud to work for an organization that is committed to supporting humanitarian efforts, technology development, and education. The IEEE Foundation's commitment to education is evidenced by the generous amount it makes available each year for scholarships." Bob noted the favorable ration of program service expense to total expenses year after year is just another assurance that donations are wisely spent. Each year the IEEE Tax Department works directly with the Development Office and the Foundation Accounting Group to prepare the Foundation IRS Form 990. Bob says, "I feel the energy and enthusiasm of these individuals and see their commitment to their responsibilities. In reviewing the IRS Form 990 each year with the Foundation President and Treasurer, I feel their dedication in assuring that the Foundation achieves its mission." Bob gives to the IEEE Foundation Fund, where Foundation board and staff can direct the money to funds and projects that are the most in need. Bob says, "A donation to the IEEE Foundation is much more than a 'Thank You' to the Foundation Board, IEEE Volunteers, Development Office, and Foundation Accounting Group for a history of great achievements. It is also an assurance of future success as an organization." 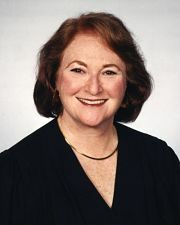 Karen A. Galuchie joined the IEEE professional team in 1997. 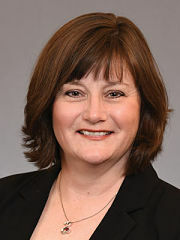 Karen shared, "Being part of the IEEE Foundation has afforded me numerous opportunities to witness firsthand the innumerable ways IEEE advances technology for the benefit of humanity and the critical role the IEEE Foundation plays in enabling IEEE programs that transform lives all around the world." "Each and every program that IEEE Foundation supports - thanks to our donors, our most valuable asset - is addressing a pressing need in some corner of the world - so it is hard to say which ones interest me the most," Karen said. She leans towards programs that "empower and nourish bright young minds about technology and how they can be used to improve the human condition. These programs take many forms from offering scholarships, to sharing the history of technology, to STEM lesson plans for teachers, to powering off-grid communities so children can read at night, to hands-on programs that solve real world challenges." It is the countless ways IEEE Foundation invests and makes a difference all around the world that compels Karen to donate. Karen says, "As the philanthropic arm of IEEE, the IEEE Foundation invests in IEEE, and IEEE is its members. So giving to IEEE is giving to their future, the future of their profession and the technologies they love, and the way the world will use and leverage those technologies today and well into the future." Dave was introduced to volunteerism as an IEEE student member and as a member of Eta Kappa Nu, which is now the student honor society of IEEE. He said, "I met a lot of innovative and hardworking folks who mentored me and helped me to improve my skills." "The ability to interact with others and to accomplish things for the profession, the community, and humanity has always appealed to me and I would like to think I have maybe given back at least a fraction of what I have received," says Dave. "I have had the benefit of Foundation support of IEEE programs that I have interest in, such as Sections Congress and the IEEE-USA Fund." Dave says, "I am very excited by the new focus of the Foundation on high-impact IEEE projects and I look forward to their success." Dave recognizes, "We are members of a technical organization because we choose to associate ourselves with the mission and vision of IEEE. We are not 'in it alone'. We have had help to achieve what we have achieved. I think most members appreciate this and feel the desire to give something back - to make things better, to provide solutions to others' problems, and to improve the human condition. The IEEE Foundation is the philanthropic 'front-end' to support IEEE activities not supported in the profit space." 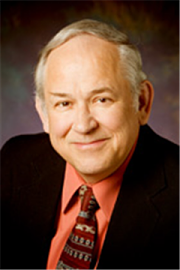 Dave Green, an active IEEE volunteer for 35 years, is serving his first term on the IEEE Foundation Board and is its Vice President of Grants. 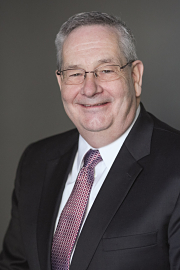 Mark Lauby says, "I appreciate the IEEE Foundation's devotion to recognizing those who have contributed to engineering and society and its commitment to support aspiring technical leaders." He believes "without the IEEE Foundation, it would be difficult to recognize the industry leaders or to make opportunities available to those looking for engineering direction. IEEE creates an infrastructure to support engineering." "IEEE, through the members and professional staff, provides many learning opportunities and much inspiration. The benefits are highly leveraged compared to the costs. The Foundation provides an opportunity to recognize this leverage and a vehicle to support engineering excellence," Mark said. Mark has had a lifelong commitment to the electric power industry and, in 2014, he received the IEEE PES Roy Billinton Power System Reliability Award from IEEE Power & Energy Society (PES), an award to recognize outstanding individuals for their contributions to the reliability of electric power systems. He then donated the cash prize from the award back to the Roy Billinton Power System Dynamics and Control Award, an award that recognizes outstanding contributions to the understanding and control of the dynamics of power systems. Mark originally joined IEEE as it was the premier organization for Electrical Engineers and the IEEE Power & Energy Society. He is most interested in IEEE Committees, Subcommittees, and Working Groups devoted to bringing industry subject matter experts together to address complex issues affecting the bulk power systems. Henry donates to the IEEE Foundation because, he says, "it supports worthy programs that are conceived by IEEE members." Henry is an active volunteer and knows that transformative programs cannot rely on volunteer time alone. IEEE Smart Village is a great example. Henry says, "a broad, diverse team of members is working together to bring electricity to every person in the world. This will not be accomplished through goodwill alone," he said. "Supporting the IEEE Foundation is a way of taking pride in our profession as well as supporting the efforts of other members." As the youngest member of the IEEE Power & Energy Society (PES) Governing Board, leaders in the field mentored Henry. To give back, he became one of the pioneering volunteers who worked to establish and run the IEEE Power & Energy Society Scholarship Fund because it encourages undergraduate students to pursue careers in the power industry by providing multi-year scholarships. Henry noted, "the power industry is facing the challenge of an aging workforce, and there is dire need to attract new engineers into the industry." He gives because, "the IEEE Foundation plays a crucial role in amplifying the effort of the volunteers -- providing funds that turn their visions into reality." A recently established award was named after Dr. Raj Mittra and another IEEE Foundation donor, Dr. Roger F. Harrington. 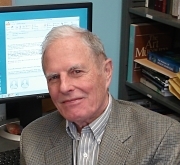 The IEEE Harrington-Mittra Award in Computational Electromagnetics was established in 2013 to recognize the past technical accomplishments and future potential of an outstanding contributor to the area of Computational Electromagnetics. 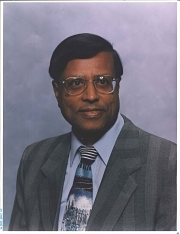 Raj donates to the IEEE Harrington-Mittra Award Fund, "to recognize outstanding contributions in the area of Computational Electromagnetics, an area which has played such an important role in the lives of both Roger and me." He says, "the IEEE Foundation has been very helpful in making my wish come true by facilitating the establishment of this award." 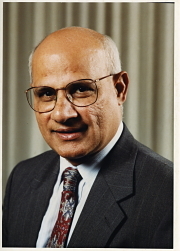 Raj's dedication to giving is recognized in the IEEE Heritage Circle as an Honored Philanthropist. "The IEEE Foundation makes a significant difference in the lives of IEEE members through its unique programs for Grants and Awards," says Raj. He says, "the IEEE Foundation deserves the support of IEEE members because of the way it manages these programs in a professional manner on the behalf of IEEE members." 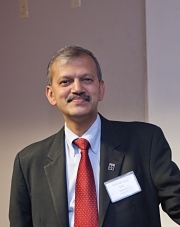 Raj added, "I firmly believe that for IEEE awards, the only way to go is through the IEEE Foundation, which is a highly professional organization, and a pleasure to work with." 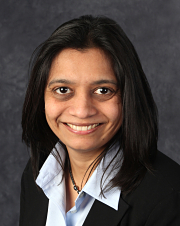 Nita Patel joined IEEE originally because, "it was a great way for a shy person like me to meet others in the engineering field." Since joining, she has been an active volunteer on multiple committees and boards, and has attended many conferences. "I think it is vitally important to do good," Nita says. When talking about the IEEE Foundation, Nita says, "I am interested in the scholarship funds and special projects focusing on humanitarian outreach and engineering literacy. As technologists, we have the power to make a difference in the world and I like that the IEEE Foundation encourages these types of programs." She went on to say, "I think many scholarships that the Foundation supports are critical to inspiring and engaging the next generation of active volunteers." Nita shared, "I am an active IEEE volunteer and I donate to the IEEE Foundation because I know the funds are used on real programs by passionate volunteers who are excited about making a difference." She added, "I especially appreciate that the overhead is low and that there are specially designated funds to provide even more specificity to my donations." "I know that members give their time to IEEE, but not all goals can be accomplished by manpower alone," Nita said. "I think many IEEE members are passionate about what they do and would love to see that passion shared by the greater public. Supporting the IEEE Foundation is one easy way to do that." S. K. Ramesh is a founding member of the IEEE Student Branch at his alma mater, the National Institute of Technology, Trichy, India. With an academic career spanning over 25 years, he has served as the Dean of the College of Engineering and Computer Science at California State University, Northridge, CA, USA since 2006. Ramesh said, "I deeply value and appreciate my association with IEEE. I am very grateful and continue to be inspired by dedicated volunteers whom I have the privilege to work with, thanks to IEEE." "Our members impact every walk of life and develop the technologies of tomorrow. From Signature Programs like Engineering Projects in Community Service (EPICS in IEEE), to funding for innovative projects to attract young learners to the STEM disciplines -- there are numerous programs that are vital to the profession and our collective future." Ramesh is delighted to see that EPICS is now a Signature Program of the IEEE Foundation. Ramesh is the Chair of the IEEE Educational Activities Board - Pre-University Education Coordinating Committee, and President-Elect of IEEE-HKN, and says he is passionate about broadening participation in the STEM disciplines and engineering. Ramesh said, "It is important that we sustain and support the IEEE Foundation to continue these worthy programs." Ramesh says, "As its core, the IEEE Foundation plays a vital role in supporting the mission of IEEE: Advancing Technology for Humanity. The programs it supports are having such a tremendous positive impact globally and inspire me to donate." Pete Sauer joined IEEE in 1973 as an electrical engineer on a design assistance team for the Tactical Air Command at Langley Air Force Base, VA, USA. Pete says he, "joined IEEE for the professional collaboration and the interaction with other electrical engineers in industry and academia." Pete is especially interested in the IEEE Power & Energy Society (PES) Scholarship Plus Initiative, an initiative to provide scholarships and real world experience to undergraduates who are interested in power and energy engineering careers. Pete says, "The IEEE PES Scholarship Plus and the IEEE Smart Village initiatives are both very worthy programs that will make a positive impact on our profession and society at large." Pete is also interested in the innovative Signature Programs of IEEE Foundation, which are at the heart of IEEE Foundation's work. These programs deliver immediate impact coupled with long-term growth in intellectual capital, human resources capacity, and technological literacy. "The Signature Programs are important to our profession and society in general. They provide a positive impact for the future through support of young people and those striving to improve the quality of life," Pete says. Pete feels that as engineers, "we are the technical leaders in our society and it is our responsibility to ensure that technology provides a positive impact on society and moves our lifestyle to a better state." He believes that giving to IEEE Foundation is a way to do this. In 2014, Eric Schmidt received the IEEE Founders Medal "for transforming global access to information through his leadership and technical contributions." 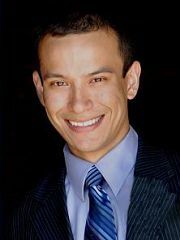 Eric says, "I admire human intelligence, the drive to understand and improve, and the informed confidence that there is a better way." Eric donated the cash prize honorarium he received from the Founders Medal to the IEEE Foundation Fund. "The IEEE Foundation supports programs which focus on innovation that creates meaningful social impact," Eric says. "The engineering across IEEE has improved the quality of life. Being able to advance and accelerate that improvement is joy for us. I believe that fifty years from now the greatest technological benefits to humanity will come from ideas and technologies not yet imagined." 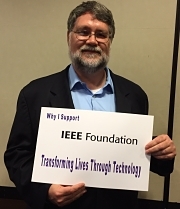 Eric believes it is important for IEEE members to support the IEEE Foundation. "Great cathedrals were built by many hands. We must all do our part. Perhaps that is a large or small donation, perhaps it is editing journals, or working with students," he says. "Most important is respecting the knowledge you have been given by working in some way to help others gain knowledge. This sense of continuity is what motivates doers and donors throughout IEEE to advance the professions and innovations of technology." Eric hopes that other leaders in the technology industry will see the wisdom of investing in the very people and institutions that are building the future. David M. Weiss joined IEEE in 1969, and after realizing the benefits he knew he would be a member for life. David chairs the IEEE New York Section Technology Management Council and is the NY Section's Representative to the Metropolitan Engineering Societies Council. The programs that interest David most are the IEEE Foundation Signature Programs. He supports high-level initiatives that promote engineering activities and standards that would contribute to the betterment of the world -- like the IEEE Foundation Signature Programs do. David donates to the IEEE Life Members Fund of the IEEE Foundation which supports the activities of interest to Life Members, potential engineers, and engineering students. The IEEE Life Members Committee annually releases limited edition pewter coasters for a donation designated to the Life Members Fund. David is a big fan and collects all the coasters in the series. The coasters each commemorate a different event from the IEEE History Center's IEEE Milestones in Electrical Engineering and Computing program ranging from the Tokaido Shinkansen to the Panama Canal electric and control installation of 1914. All coasters are still available. "Electrical and Electronic engineering as disciplines play a fundamental and strategic role in the progress we are making today," says David. David knows that with the help of the IEEE Foundation, "IEEE will continue to lead the way in the development and application of these technologies in the future."